December 8, 2017 By Tina M Leave a Comment This post may contain affiliate links. Read my disclosure policy here. Looking for some cute and adorable (and mighty useful) homemade Christmas gifts you can make for your kids? Here are some of our favorites! Find the printables for these homemade Christmas gifts right here on mothersniche.com! 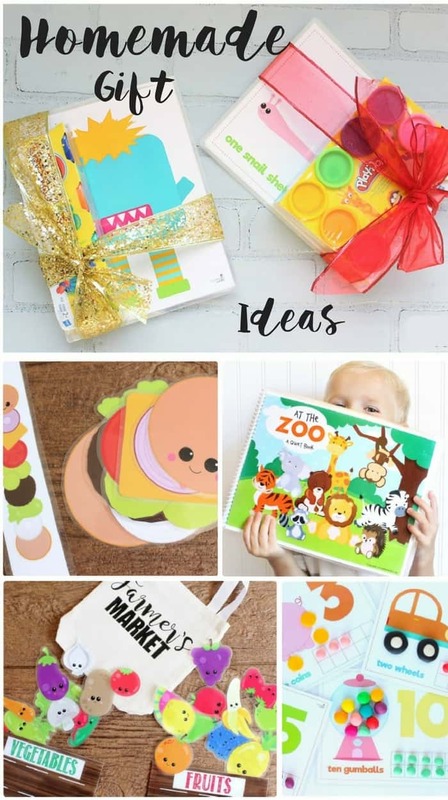 Homemade Christmas Gifts: Ideas for kids! Play dough activity mats are some of our most popular downloads, and for good reason! They are really fun, help develop imagination and find motor skills, and make wonderful homemade Christmas gifts or stocking stuffers! They have also been well-appreciated in the autism and preschool community. We have several different sets, see them here. 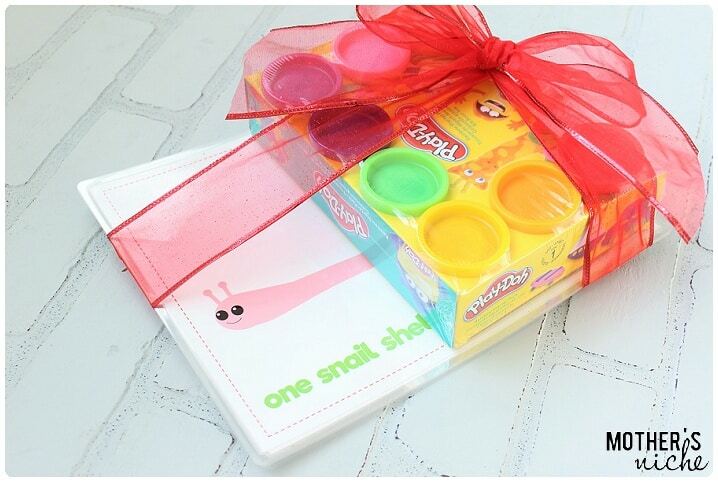 If you don’t have a laminator, you can also use dry-erase sleeves to make these last forever! Busy bags for days! 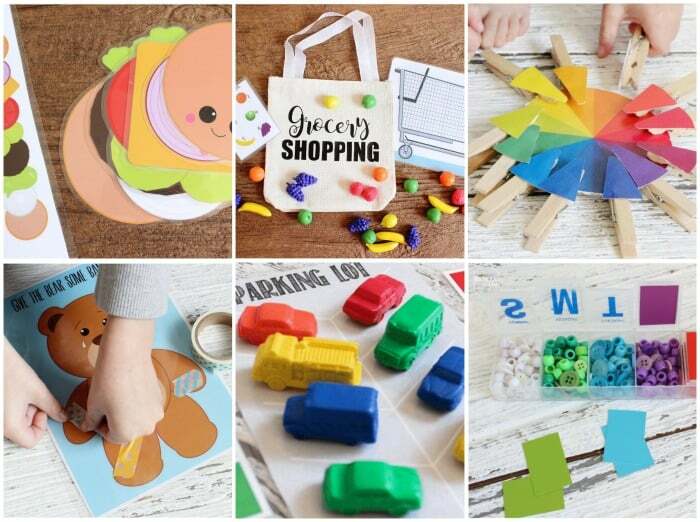 We have over 100 busy bag ideas here on mothersniche.com and many of them can be made on a very small budget! They are a PERFECT homemade Christmas gift for ages 2-6 and many of them would also be great stocking stuffers! See our busy bags category to see all that we have! These printable homemade quiet books are the reason this website was created and have been such a joy to thousands of kids. We now have several different versions: Bible quiet book, Farm Quiet book, Princess quiet book, Food Quiet book, and zoo quiet book! These quiet books would make adorable homemade Christmas gifts! If you are making quiet books, play dough mats, or busy bags, I recommend laminating at home, rather than at your local copy shop–it’s cheaper in the long run, especially since you can now get a laminator for under $20 these days! My very first laminator was over $200! I’m so glad they are more affordable now, I use mine all the time. For your older kids, throw some homemade lip gloss in their stocking! This makes an awesome gift for friends too! Peg dolls make really fun homemade Christmas gifts, and again…fit great in a stocking! Not only are they fun to make, but ridiculously cheap! They cost just cents to make! 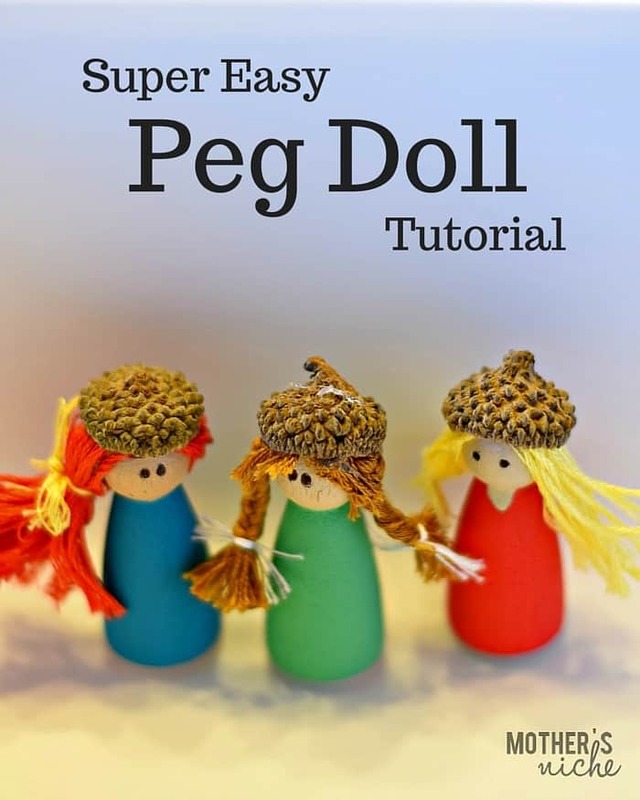 See my peg doll tutorial to see all the different kinds that I made! 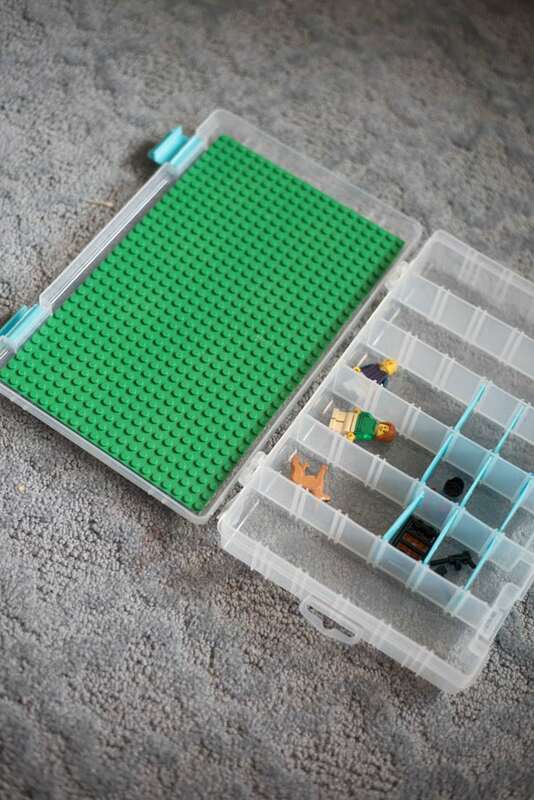 Now that you can buy Peel and stick baseplates for Legos, you can make all kinds of homemade Christmas presents for Lego-lovers. Here is a travel case my friend Katie made at Clarks Condensed. Want to save these homemade Christmas gift ideas for later? Pin it below!